It's been a busy week or two over here in mystical land of Wedding Planning, and primarily, so far it's all about the big wedding reception venue. We had the Cathedral lined up within days (we Catholics don't mess around!) but now it's time to match up that one special place to go with it for our parrrrtay :) Up North, they stick to venue halls and hotels, primarily, but down South, there's the whole added factor of historical homes, mansions, outdoor spaces and even a neighbor's barn down the way. When Harry Met Sally's big urban-venue NYC wedding for their besties. Truth: part of me wishes I could do a NYC wedding, and I know my Northern fam would love it, too. But my oh my, if we all think ATL is pricey compared to the 'burbs, I can't even imagine Manhattan. 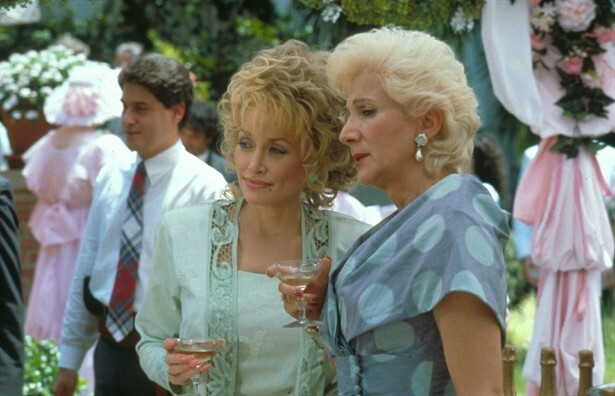 And who can forget Steel Magnolia's Pepto Bismol pink-perfect tent reception? Those ladies. They kill me. Always gossiping about something. That movie could have easily been set in Roswell, GA ;) Just sayin'. 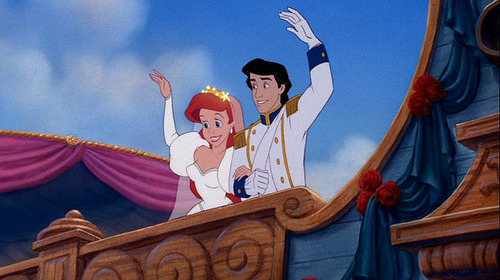 Ariel got hitched on a boat. Definitely not ideal if it's hurricane season, to say the least, but quite glam for those people close to the water. Too bad I live in land-locked Georgia. The only state that can be so close to yet so very far from the water at the same time. Ughghhg. Father of the Bride (both of them) did a backyard reception. Remember the opening scene with the dad sitting there, the house destroyed around him? Love it. 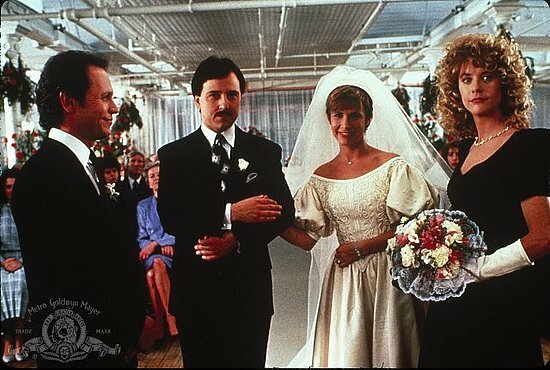 Oh man, any of the weddings in The Wedding Singer ... ha, hello, New Jersey in the 80's! Hilariously accurate and heart-warming for me at the same time. This movie was all about the reception hall. The Godfather? Almost, almost my favorite venue! Only at the Godfather's huge Staten Island complex, though, of course, could they have fit in what looked like 500+ guests. But speaking of hilarious wedding movies, I think one of my all-time favorite wedding venues was the main one from Wedding Crashers! I love love LOVE the New England home and mansion they used - from the elegant dockside happy hour to the post-wedding sailing trip. If I was a NE gal? Yep, that's where I would get married, too. Vince Vaughn can come, too. What about you? What are some of your favorite wedding movie moments and spots?